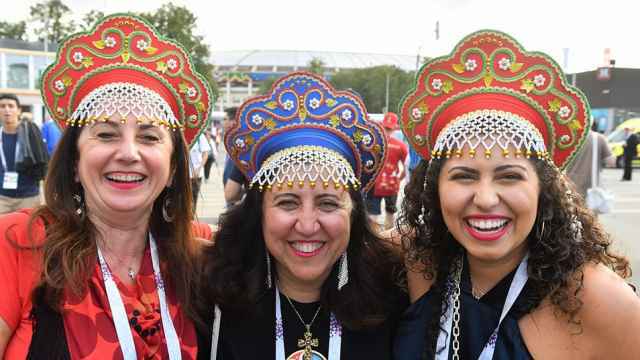 Against all the odds, a defiant Russia side beat Spain on Sunday to enter the quarterfinals of the World Cup for the first time in history since 1970. The game at Moscow’s Luzhniki Stadium got off to a horrid start for the home side, with Russia conceding a goal in the 12th minute, dampening expectations that were already exceedingly low after a 0-3 loss against Uruguay in the home side’s previous game in the tournament. After leveling the score from a penalty at the end of the first half, Russia unexpectedly dragged the game into overtime, shockingly holding one of the best teams in the world from scoring for a full 120 minutes (Spain only scored from a Russian own-goal). The last time Russia played Spain in a major tournament, at the semifinals of Euro 2008 10 years ago, it was crushed 1-4, against what was Russia’s most successful team in the post-Soviet era. Despite managing just one shot on target against Spain’s nine during the game, Russia held out against waves of Spanish attacks to take the game into the first penalty shootout of the tournament. To a disbelieving crowd, the hosts beat the Iberian side 4-3 on penalties after goalkeeper Igor Akinfeyev saved two Spanish penalties. "As we say in Russian, anyone can be a god if he tries,” Russia’s coach Stanislav Cherchesov told journalists before the match. Prior to the long-awaited match, Russian players issued a video address to fans, thanking them for their support and promising to give the match their all. “Each one of us needs to die on the field,” striker Artyom Dzyuba, who brought Russia back to 1-1 by scoring a penalty in the first half, was cited as saying by FIFA before the game. “For 95 minutes, 100 minutes, however long it takes,” he said, seemingly foreseeing that the game would go into 120 total minutes of football. Russian midfielder Denis Cheryshev, who has played for Spain for most of his life, said that his teammates would give 200 percent on the field.